Buying a new car? Read this advice first. 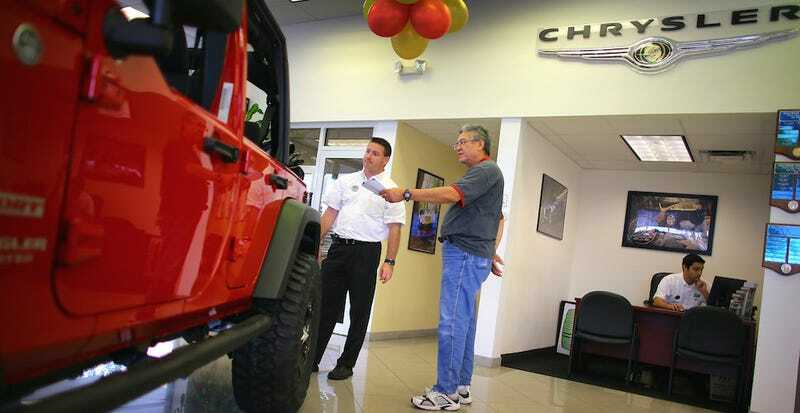 Don't let a dealer tell you what your trade-in is worth, know what it's worth going in and negotiate accordingly. Often times Carmax will offer more than a typical dealer for a trade, so start shopping there. Set up financing in advance with a bank to get lower interest rates and more flexibility in payments. Don't just skip to the bottom and sign the paperwork, read every line carefully to ensure you're not getting cheated out of your money or agreeing to something you otherwise wouldn't agree to. Don't just drive the car around the block once and sign the paperwork – spend time with the car you're about to purchase and try to learn what it'll be like to live with every day. Play with all the functions, pair your phone, take it on some rough roads, and above all, be thorough. Fire off an email to all the local dealers so they know they're competing with each other, which will help narrow it down to a handful who will give you the best deal. Before you even set foot in the dealer, do your homework and know what you should pay – research rebates, invoice prices, and rebates. Don't just let the dealers tell you what they think you should pay. Our resident authority on buying new cars Tom McParland thinks you should get an itemized price list. I'll let him explain why. Then compare with other quotes, you will see very easily who is playing games and who is giving you prices straight up. Also, have the dealer match a price with a VIN. That way they can't play the "Oh that price wasn't for the car you wanted, it was for some other car that we don't have anymore. " No need to rush making a purchase on something you'll have to live with for a long time. Take your time and make sure you're getting exactly what you want, at the right price. This is a tough one for auto enthusiasts but unfortunately necessary. Cars are such an emotional thing, but you can't let your heart lead the car buying process. Use your brain when you're buying it then use let your heart lead once it's yours. Don't be afraid to walk away from the salesman's desk. If they're not being cool, there are plenty of other dealerships that will do a better job. That and if you walk, the dealer might just offer you a better deal. In the worst case scenario, walking away will give you the chance to sleep on the deal and look at it with a clear head the next day.